Parallel titles and other title information: Title based on provided annotation. 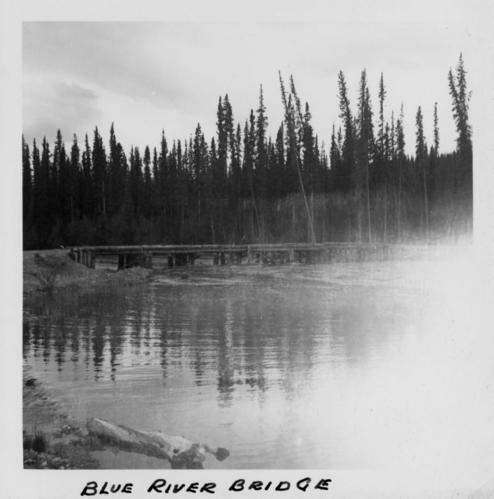 Photograph depicts a bridge at Blue River taken from shore. Item is part of the Cassiar Asbestos Corporation Ltd. fonds. Handwritten annotation on verso in blue ink: "BLUE RIVER BRIDGE".